Just messing around in the studio before company arrives. I'm typing these words to you over my new AT&T WiFi internet. I'm very excited to FINALLY have WiFi. 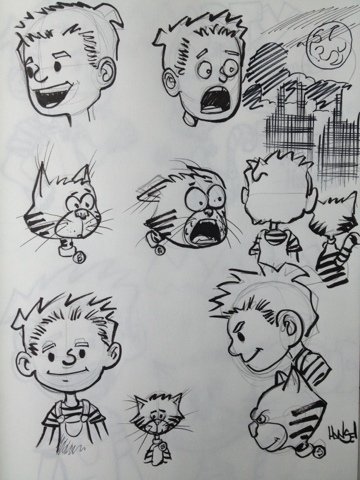 For the past six or seven years I've had Hughes Net, and while they are good, it isn't really conducive to what I want/need to do with my blog and my cartooning. 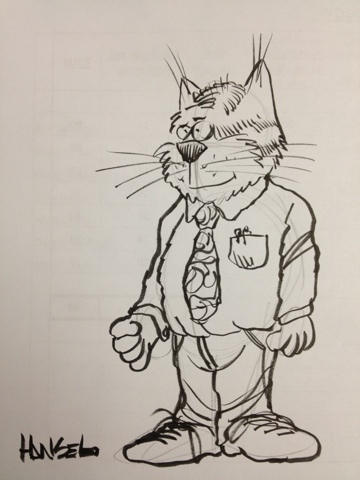 Armed with my new WiFi and my new iPhone 4S, my blogging will increase and my ability to post cartoons will as well. 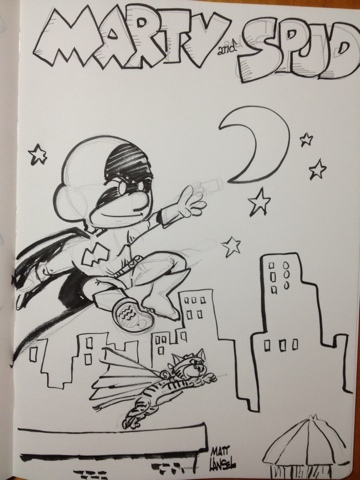 I'll be more mobile and do lots more blogging and sketch posting! 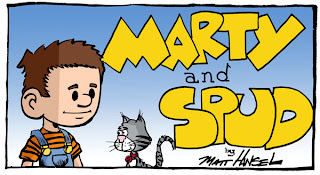 In January, I am launching Marty and Spud, a new webcomic. 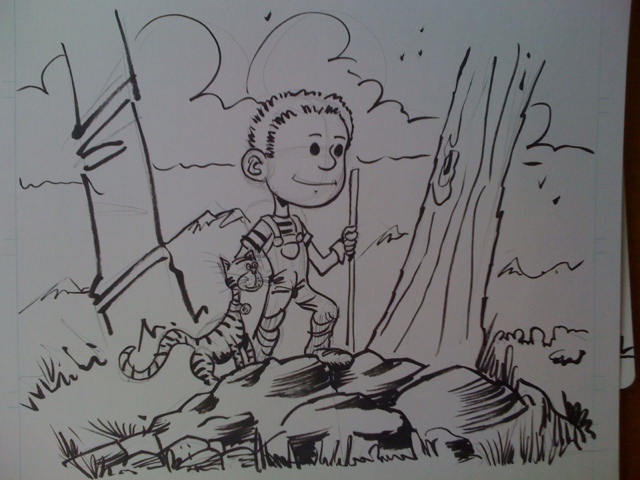 Think Dickie Dare meets Calvin and Hobbes. 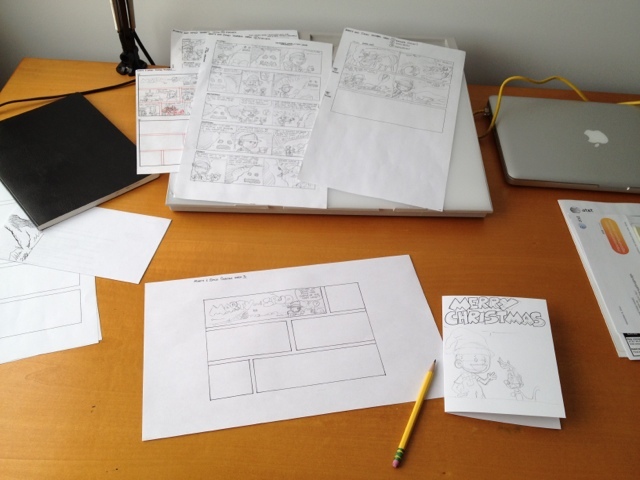 It will be a daily strip with color Sunday strips. Check it out. And, since I now have video capability and a faster internet connection, expect to see some video posts here and maybe even a few productions of me drawing and sketching. We'll see how it goes. 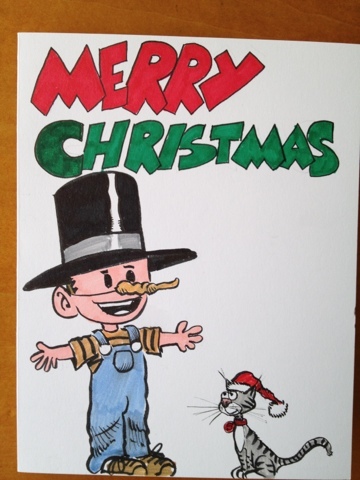 In the meantime, thanks for supporting me and my cartoons, and thanks for reading. There is so much more coming down the pipe. I hope you'll come along for the ride. Long time no chat (and even longer NO POST!). I've been busy with various Matt projects, some of which will start to come to fruition in 2012 (just in time for the world to end!). Head on over to www.martyandspud.com for my newest webcomic. It will launch in January and run daily with color Sunday pages. More on that in future posts. 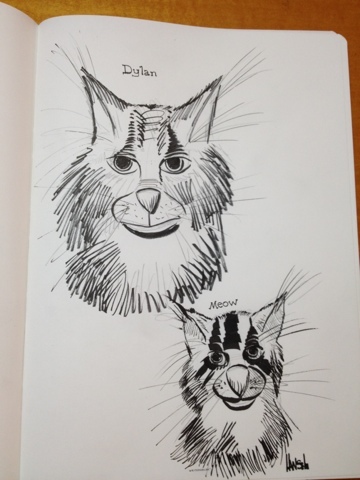 Meantime, enjoy some preliminary designs for the strip. 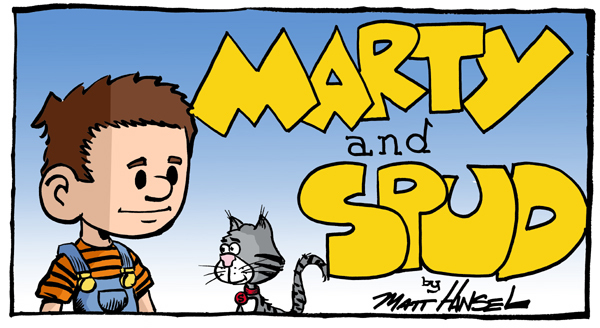 Masthead design for my new webstrip, Marty and Spud!